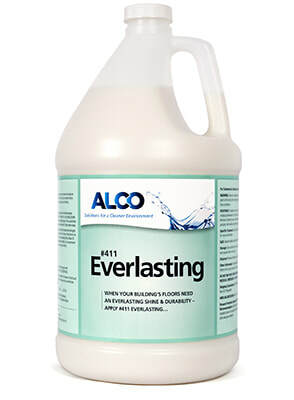 Alco EverLasting - Alco-Chem, Inc. The latest development in polymer floor finish. Provides high gloss and durability with minimal labor required. Unsurpassed in ultra high speed floor care. A premium 22% non-volatile solids ultra performance high speed floor finish. Provides a diamond like shine that will not yellow or fade. The exclusive, three cross-links formula is optimized for extreme durability. No odor. Non streaking, smooth even application without foaming. No mop drag, overlapping or puddling.